Every year the paint and color trend companies release their ‘Colors of the Year’ and I’ve just been looking at the colors for 2019. Of course, the new colors chosen each year don’t mean that we all want to redecorate and change our color scheme overnight! But they sometimes give me new inspiration, shaking up my ideas on how I could use different colors, either on my walls or as a decorative accent. 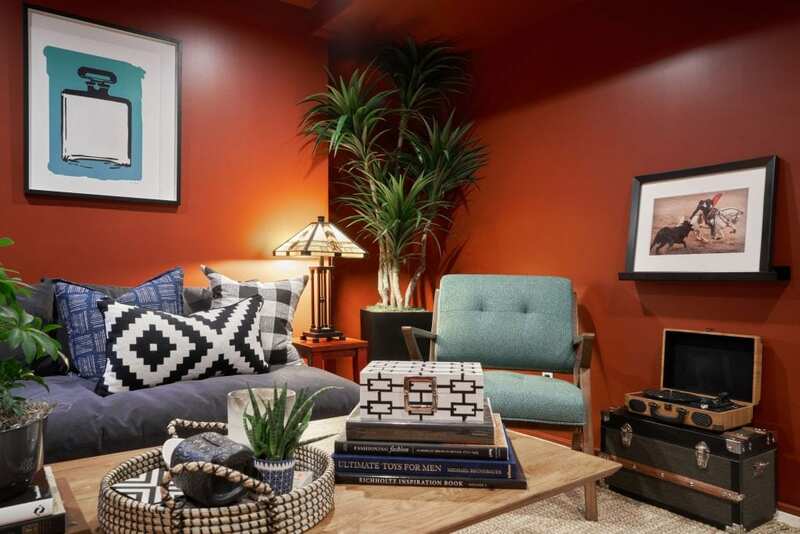 In 2019, many of the paint Colors of the Year fall into a palette of coral and clay tones. Let’s take a look at them, starting with Pantone’s Living Coral color, a bold pinky orange. 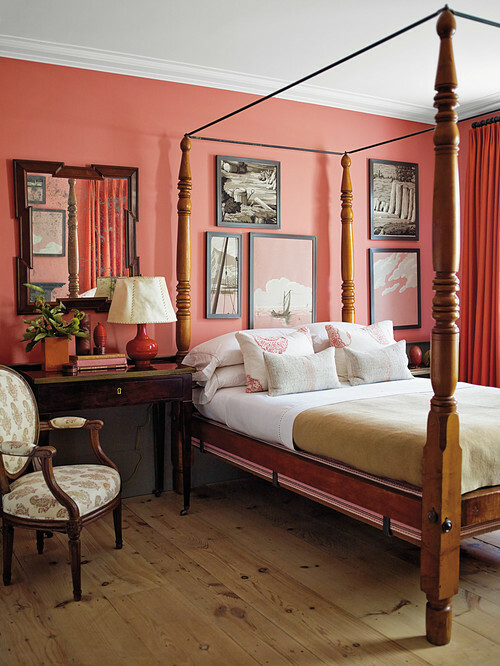 Here’s the Living Coral color in a bedroom in New York. Pantone describes Living Coral as “An animating and life-affirming coral hue with a golden undertone that energizes and enlivens with a softer edge.” Certainly this bedroom looks cozy and inviting, and the warm coral color goes well with the traditional decor and wood furniture. Earthen Trail is Pratt & Lambert‘s color of the year. The soft terracotta is quite similar in nature to the Pantone shade. Both of these colors, Earthen Trail and Living Coral, have a sun-kissed quality to them that make them quite cheerful colors. If they are too strong to use on every wall in a room, you can think about using them on feature walls, architectural features, doors, or as outside colors on your patio or deck. 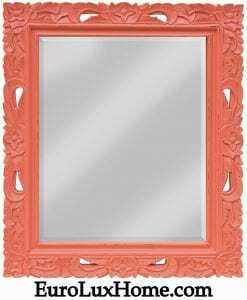 Or choose accent pieces in furniture and home decor, like this gorgeous Trade Winds coral wall mirror, with a painted mahogany frame. 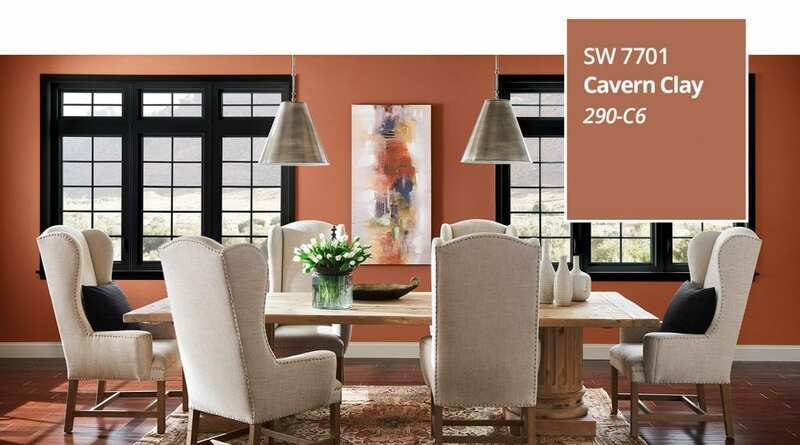 Sherwin-Williams has also chosen a warm terracotta for its color of the year in 2019, and they call it Cavern Clay. This moody brown evokes the desert Southwest and has an earthiness that can look either refined or casual. Cavern Clay in the dining room makes a great color that offers more oomph and warmth than a lighter neutral like white or gray, but is still subtle and sophisticated to create a backdrop for elegant dinner parties! Spice of Life by Dunn-Edwards continues the earthy warm tones that have been chosen as colors of the year, and this is the boldest of the bunch! Spice of Life is a vibrant fire brick red / brown with orange undertones. “Spice of Life is an outgoing, confident hue that adds drama and stimulates the senses,” according to Dunn-Edwards. 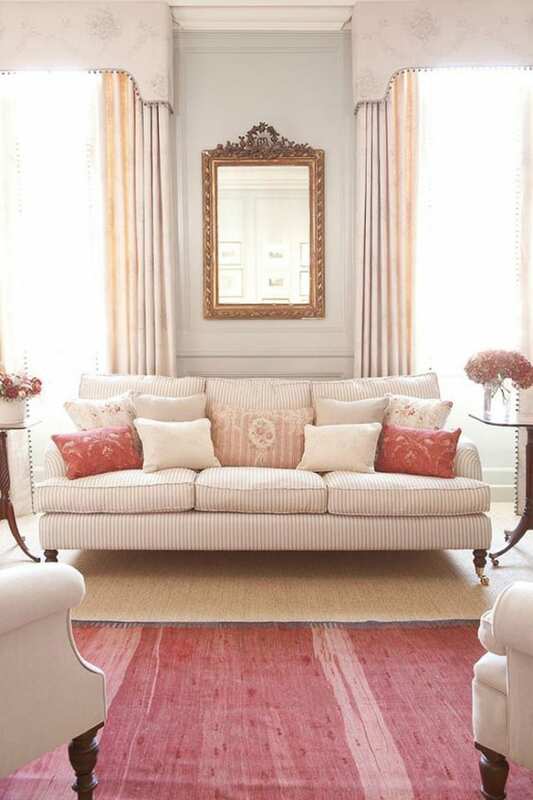 Traditional interiors will make the most of this intense color when teaming it with khaki tones, deep blue or cream. For a more contemporary look, pair it with crisp white, cool grays and black. In my next post, I’ll look at some of the cooler blue, green and gray tones popular right now. 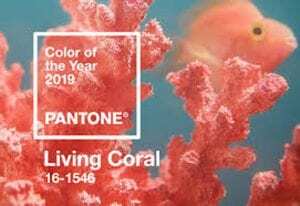 But till then, what do you think of these coral and 2019 colors of the year? 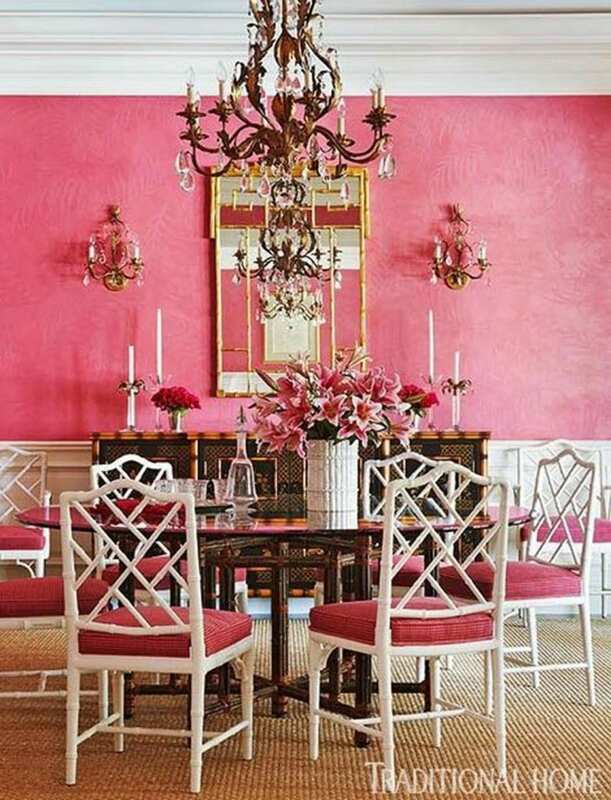 This entry was posted in Home Design Ideas and tagged bold colors, color palette, color trends, creative home decorating, decorating with brown, decorating with pink, decorating with red, design inspiration, interior decor, interior design, neutral colors, paint color on February 28, 2019 by admin. A few weeks ago I blogged about the Paint Colors of the Year for 2016, which are all soft whites. The only company that has spoken out for color this year is Pantone. 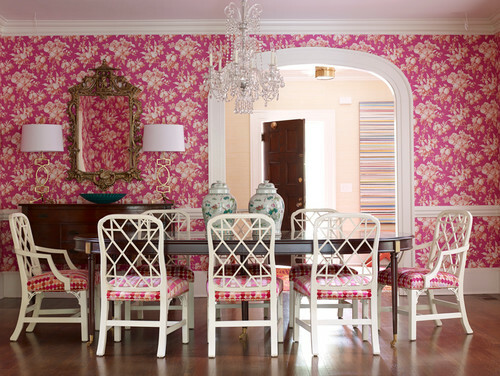 The international color trend experts at Pantone picked a pink and a blue for their colors of the year 2016. The colors are called Rose Quartz and Serenity. 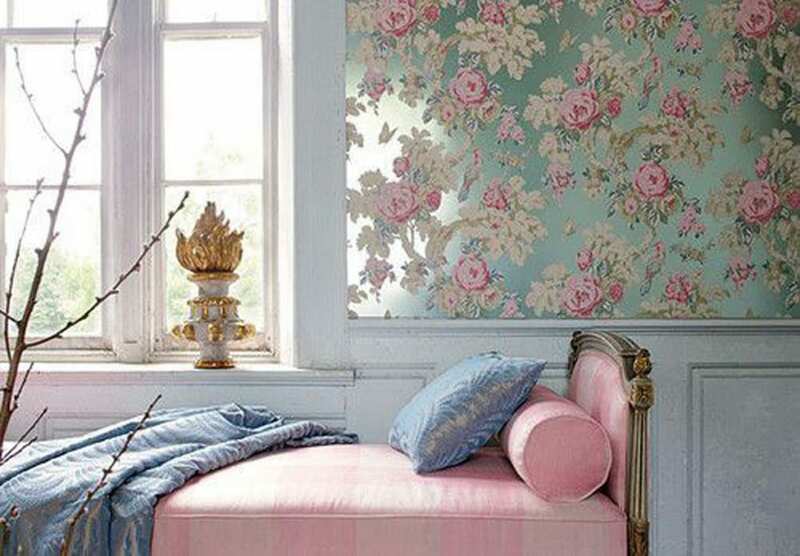 Pantone chose these soft pink and blue tones for the same reason as the paint companies who chose whites! This is the first time Pantone picked two colors rather than one. Last year it was the deep wine color Marsala, which I thought was a very nice shade for many different styles of home decor. The light pink and blue are a bit different. Pink and blue makes some people think of picking a color to paint the nursery for the baby! Other people might be reminded of the 1980s. But I think there are ways to work with Serenity and Rose Quartz in the home and still keep it looking grown-up and beautiful. Here is one example. It reminds me of the decor I’ve seen in some old French houses and chateaux, where the soft pastel pinks and blues were a very traditional choice. High quality materials and fine finishes are important to carry off this luxurious look. 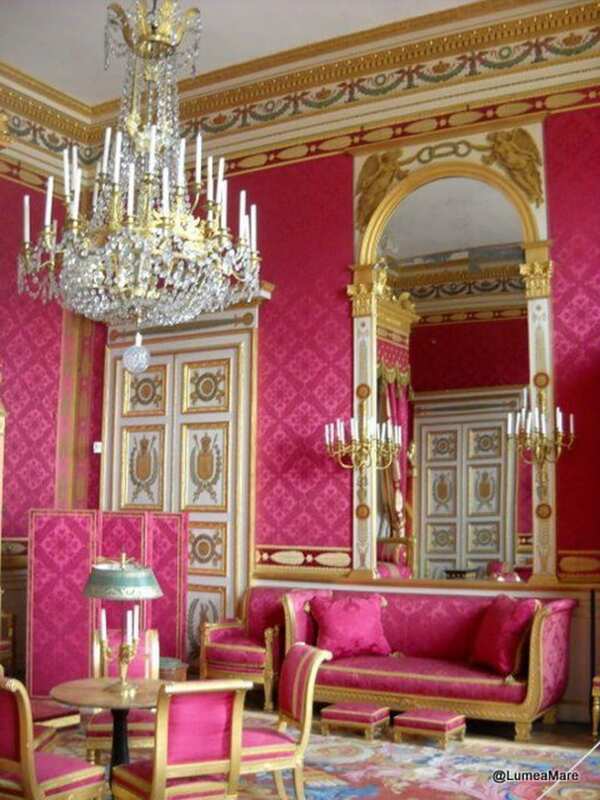 A touch of gilding adds to the sophistication too! This is a sweet take on the same color combo. The romantic bedroom plays up the delicate tones by pairing them with flowers, bows, crystals on the light fitting, and sheer curtains. Even the image behind the bed of a rack of dresses has a floaty feel. If all-out Rose Quartz pink and Serenity blue is too much for you, a few home decor accents can capture the tranquility of these colors. This new Aubusson throw pillow blends similar shades of pink and blue beautifully. 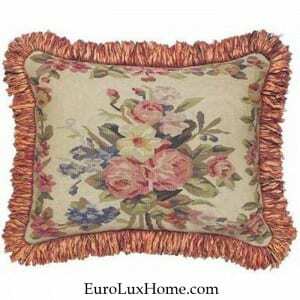 Crafted using traditional techniques to replicate antique French Aubusson pillows, the pillow has a floral design that would look very pretty in a Victorian bedroom or in a country cottage living room. The airy weightlessness of the two colors also makes me think they will look good on glass. The softness of the colors matched with the shiny translucency of glass seems like a match made in color heaven! 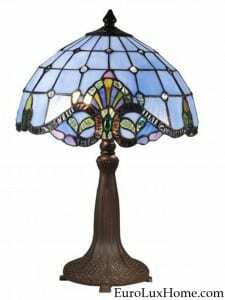 I think the blue on the hand-crafted art glass shade of this new Dale Tiffany Blue Baroque table lamp looks very close to the Pantone Serenity shade. 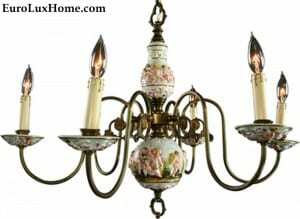 The shade is made by glass artisans using traditional copper foil techniques and the pretty glass jewels add to the light and tranquil feel. 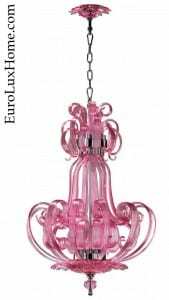 This amazing new Cyan Design Florence chandelier looks like a close match for Rose Quartz pink. 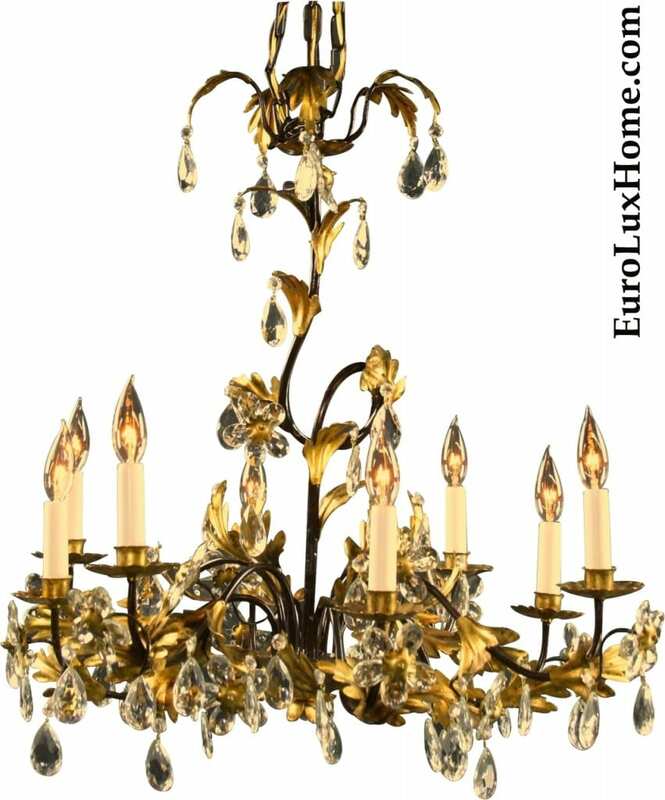 The Murano glass style chandelier with its cascading swirls could almost be whipped up from pink clouds at sunset! Or maybe I’m just getting all romantic and dewy-eyed from looking at Rose Quartz pink and Serenity sky blue for too long! 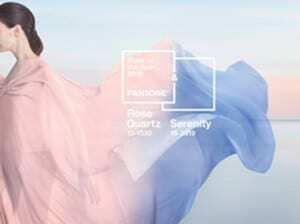 What do you think of the Pantone colors of the year? 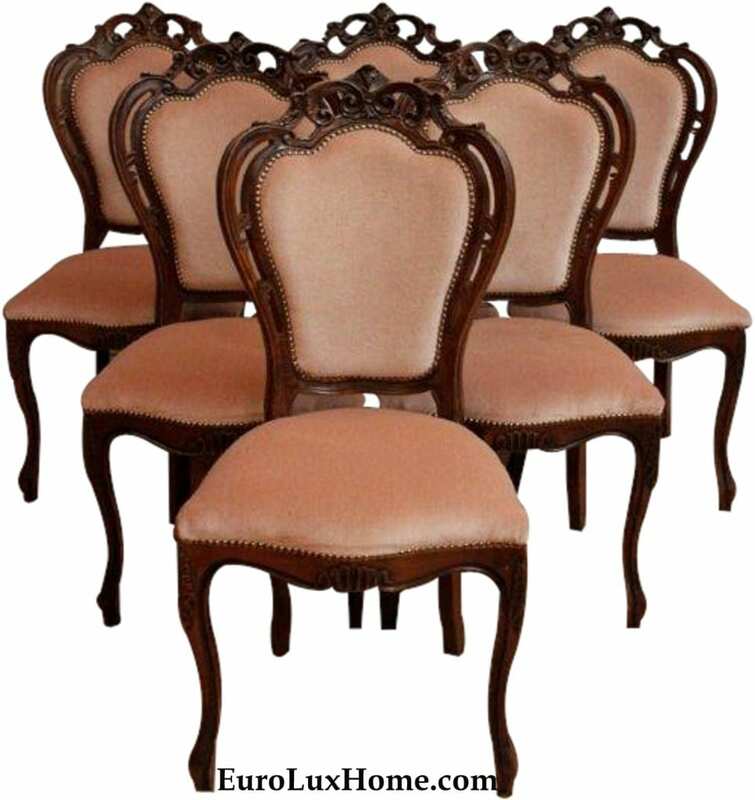 Would you like them in your home? Would you combine them or just stay with one shade or the other? This entry was posted in Home Design Ideas and tagged 2016 design trends, blue, blue decor, color, color palette, color trends, creative home decorating, Cyan Design, Dale Tiffany, decorating with pink, home decor, home decor accessories, home decorating, paint color, throw pillows on January 20, 2016 by admin. Just because the various paint and color trend companies release their ‘Colors of the Year’, it doesn’t mean that we all want to run out and change our color scheme! But it’s great to see the colors chosen each year. Sometimes they shake up my ideas about home decor, just in case I’m falling into a rut. Even if I don’t want to use the paint color on my walls, the Colors of the Year might inspire me to try a new color as a decorative accent. Let’s take a look at the paint Colors of the Year for 2015. I’m starting with the paint color that I think is the most accessible for most people. 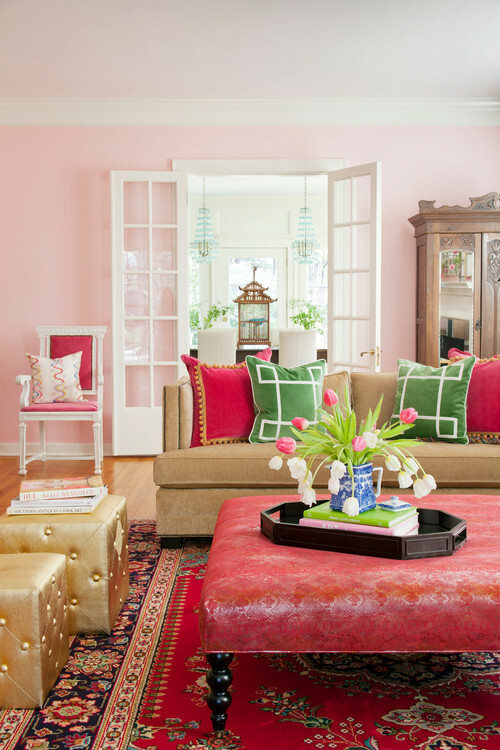 Benjamin Moore’s 2015 Color of the Year is Guilford Green HC-116. It’s a serene silvery green from Benjamin Moore’s Historic Color collection. The Historic Color paints are all inspired by colors found in buildings from the 18th and 19th centuries. Maybe that’s why I like it so much! The next shade with broad appeal is Pantone’s Color of the Year: Marsala. It’s a deep red-brown shade that can look earthy, sophisticated, or dramatic, depending how you use it. Now, excuse me for blowing my own trumpet, but I was inspired to write a post about Red Wine Colored Decor a few months ago. The rooms I showed were very similar to the Marsala shade, but I promise you I had no idea that Pantone was promoting Marsala for 2015. Hey, I’m more on-trend than I thought I was! 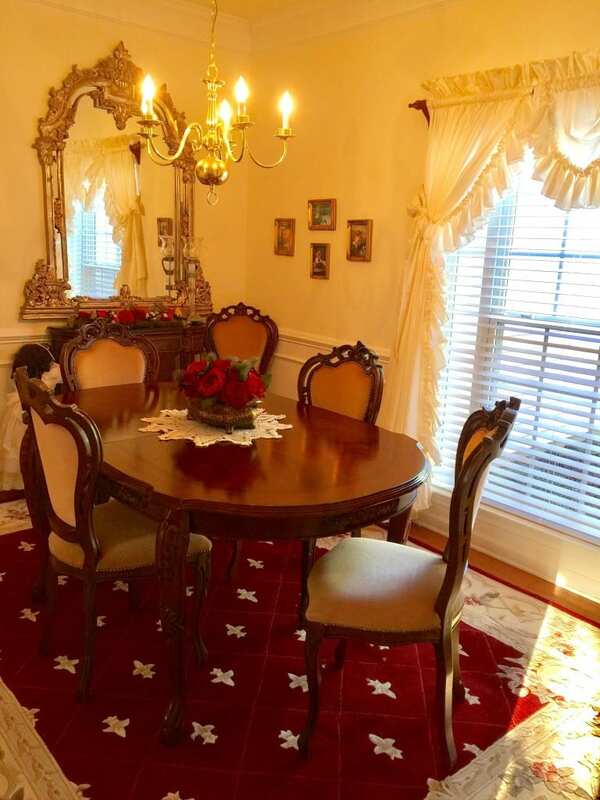 This is one of the rooms from that Red Wine Colored Decor post. 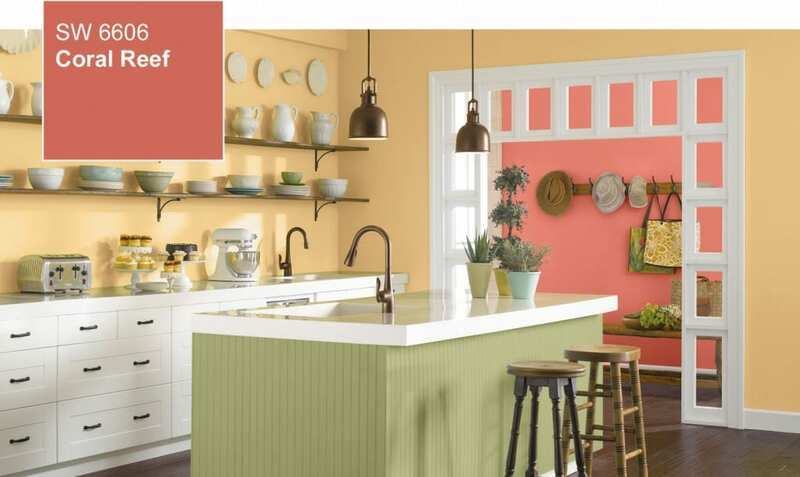 Next up are the more adventurous hues for 2015… starting with the Sherwin-Williams Color of the Year. The paint color is called Coral Reef, and you can see why. 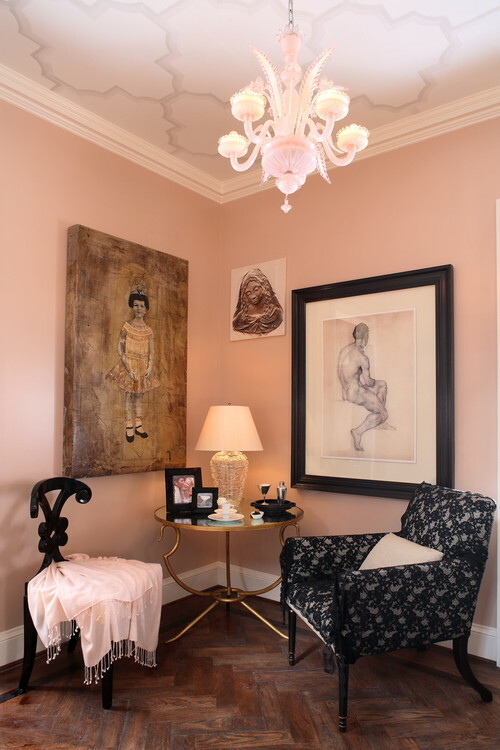 The lively mix of pink, orange and red is probably best used in small doses, for an accent wall or a smaller room like the hallway in this photo. It looks fresh and pretty glimpsed against the softer peach of the kitchen walls and the clean white trim. 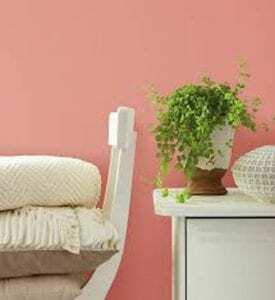 Sherwin-Williams also suggests that you might try using the Coral Reef color to paint a piece of furniture. We can help with that! 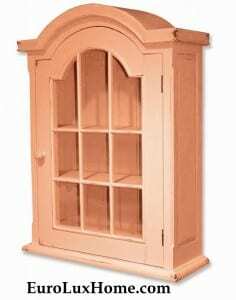 We have many types of coral painted furniture in our gallery, like this arched coral wall cabinet. Although the newly crafted wall cabinet is not painted with the Sherwin-Williams Coral Reef color specifically, I think it’s a pretty good match if you want the look but don’t want to paint your walls coral. 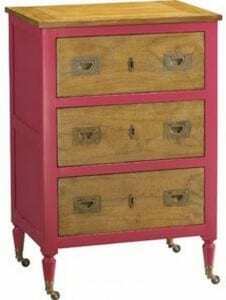 An accent piece of furniture like this gives you a charming dash of the trend color without taking over the house! This green-hued blue really is electric, isn’t it? 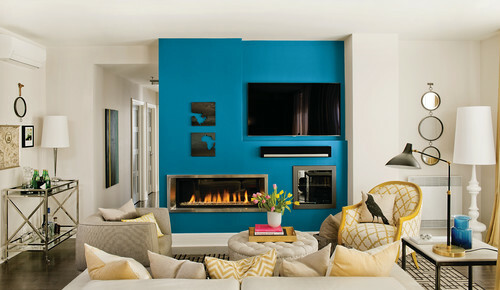 A bolt of the color on an accent wall or in color blocking will give a powerful wake-up call to a room. 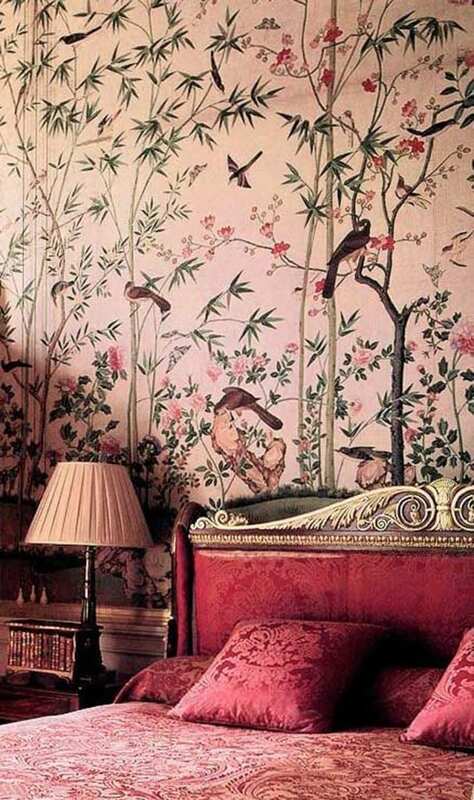 I can imagine it creating a lush tropical mood in a beach cottage or condo. 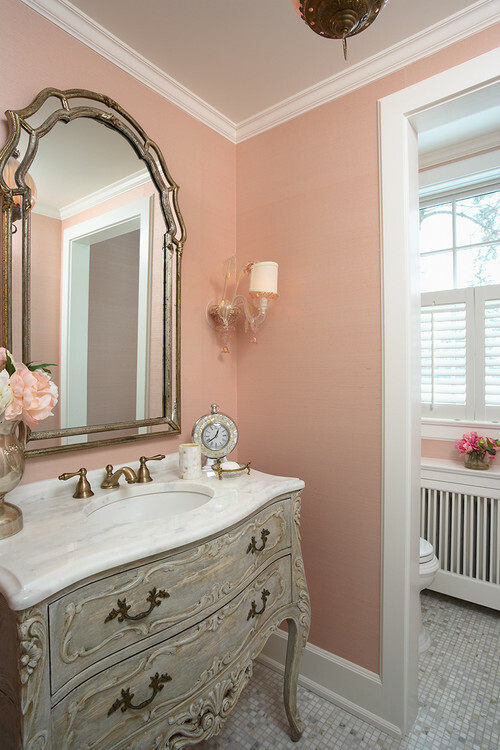 I can also picture it looking glamorous in a petite powder room, with a contrast of crisp white or sunny yellow. What do you think of the paint Colors of the Year for 2015? Do any of them tempt you, and how might you use them in your home decor? This entry was posted in Home Design Ideas and tagged blue, blue decor, bold colors, color, color palette, color trends, creative home decorating, decorating with pink, decorating with red, design inspiration, green decor, interior decor, interior design, paint color on January 15, 2015 by admin.